As a token of appreciation of dedication, make a farewell event memorable for boss, directors, or colleagues who is going to retire, resign, or move to other division. Celebrate your love with a special face sketch gift of you and your loved one or the whole family members. Each gift will be adorned with swarovski crystals for luxury. 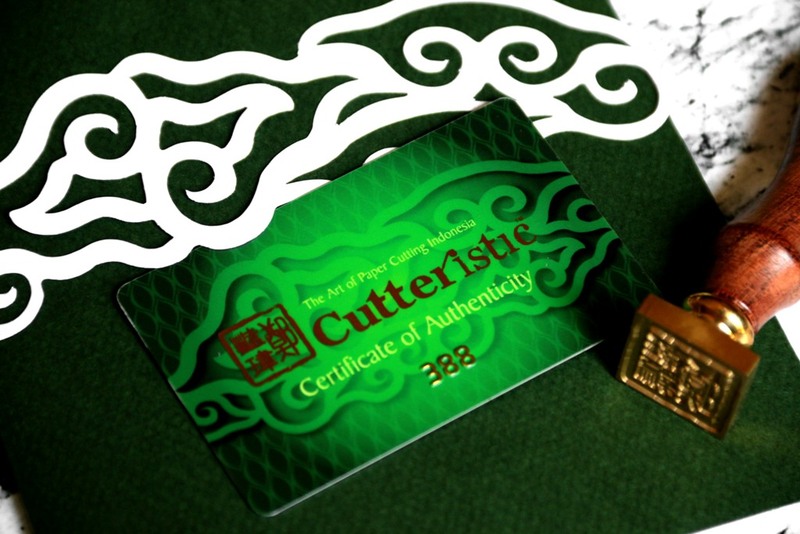 Started in Indonesia since 2011, Cutteristic have been made over 1200 face sketches and combined with corporate’s identity of building, products, or traditional motifs, make Cutteristic an exclusive gift that is trusted by more than 250 companies and goverment institutionals. Order yours now! The diversity of paper cutting artist community that is growing in the world since its first existence 6th century AD in China; makes each paper artist easily identified by their distinctive design characters. Cutteristic specializes in making Paper Cutting Sketches of Faces; Where the character of each gift recipient is translated as similar as possible according to the client’s request into piece of paper. Every exclusive gift of facial sketch will get a Certificate of Authenticity with a special serial number indicating that the paper cutting is handmade and made originally by Cutteristic. Dapatkan Kado Eksklusif Klasik dengan desain khusus, harga mulai dari Rp 487.000. Pesan sekarang! Paper cutting is easy to learn, with a piece of thick paper (as thick as drawing paper thickness) and cutter, you can learn this. We provide video tutorial and FREE Download Pattern to learn the methods of paper cutting now. The uniqueness of this paper cutting art brings press medias interest to cover this art by interviewing Dewi Kocu to tell story about Cutteristic. Check out some interviews published in TV, newspapers, magazines, radios.